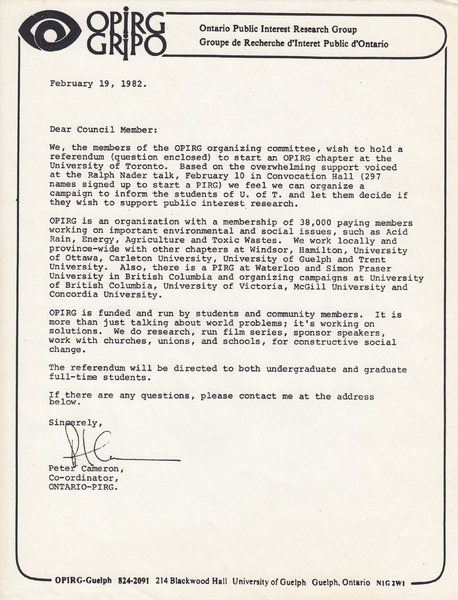 Letter by the OPIRG organizing committee announcing their intention to host a student referendum for a fee levy. 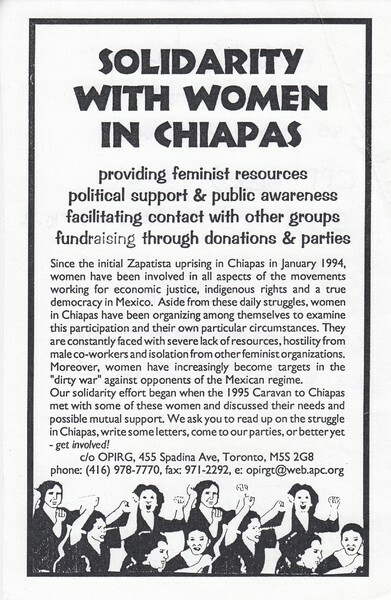 Flyer describing solidarity campaign with women in Chiapas. 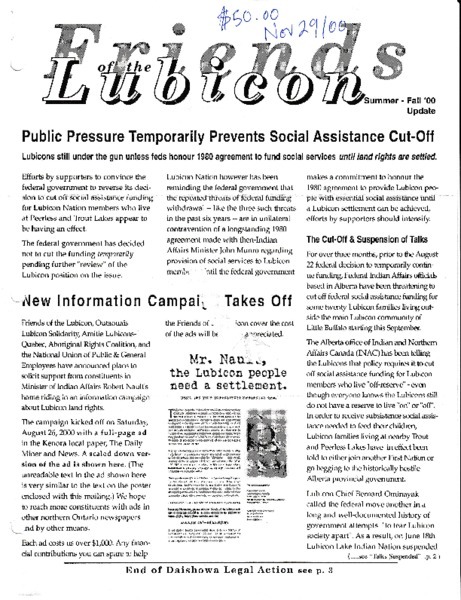 Students occupied the office to demand an anti-sweatshop policy. 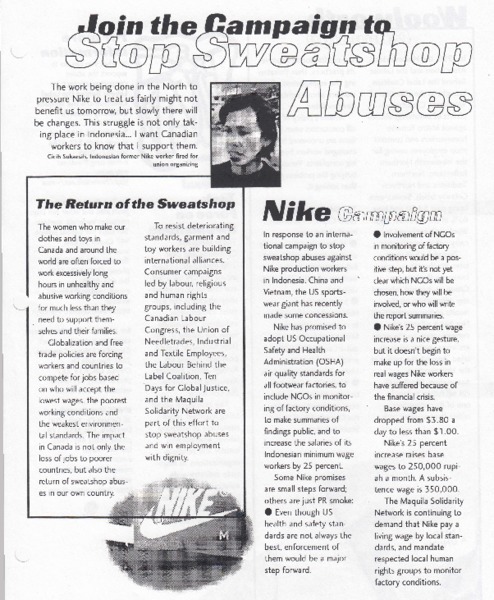 Flyer describing international labor campaigns against sweatshop abuses. 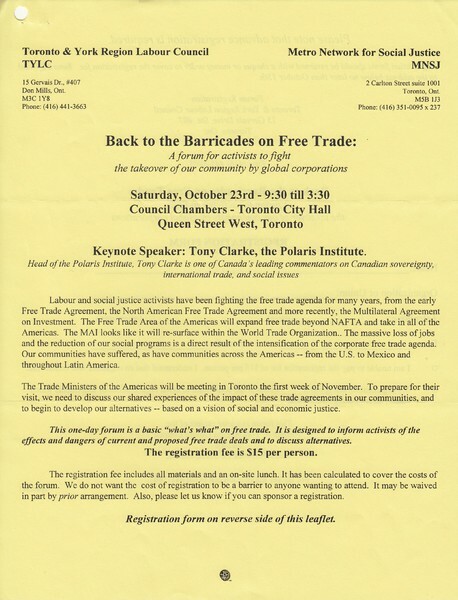 Tags: Anti-Sweatshop, Canadian Labour Congress, Homeworkers' Association, Labour Behind the Label, Maquila Solidarity Network, Shaw Street, Ten Days for Global Justice, UNITE Stop Sweatshops! 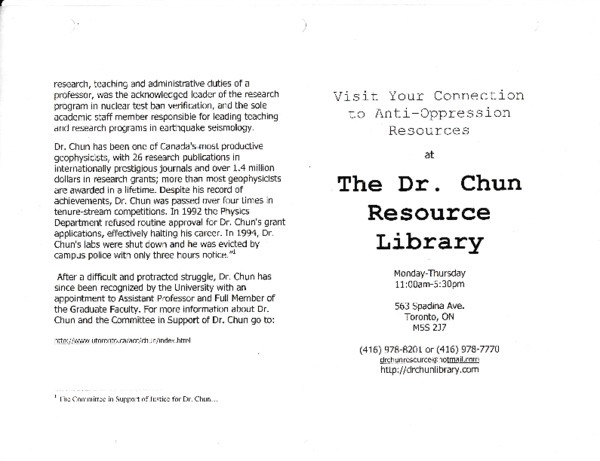 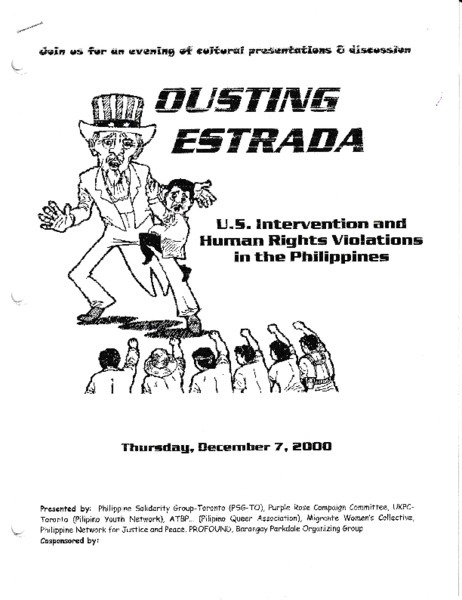 Flyer advertising an evening of cultural presentations and discussion about U.S. intervention in the Philippines. 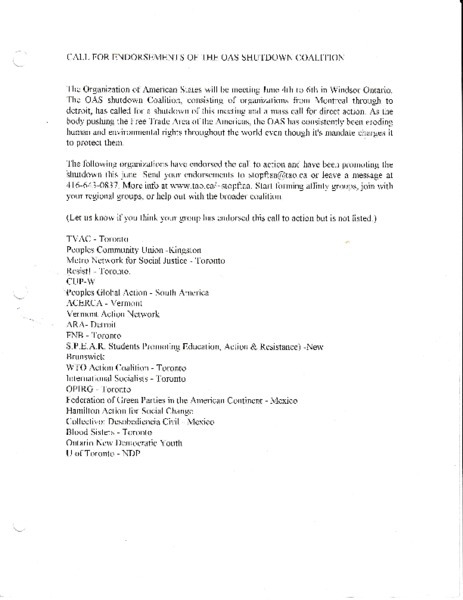 Call for endorsements of the OAS shutdown coalition. 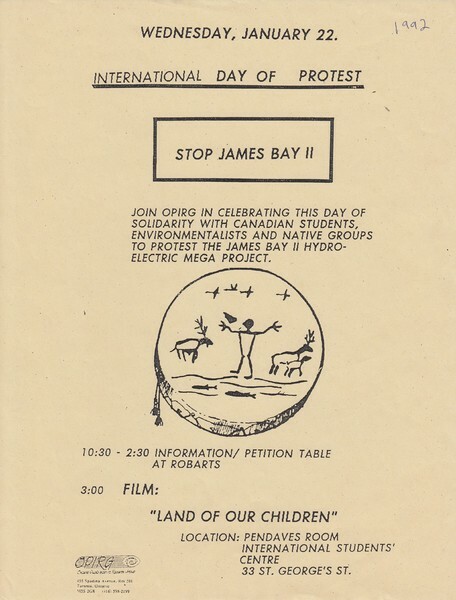 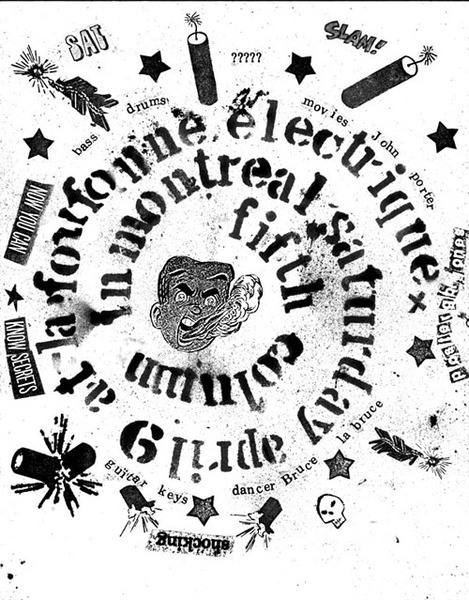 Poster advertising an international day of protest against the James Bay II Hydro-Electric Mega Project. 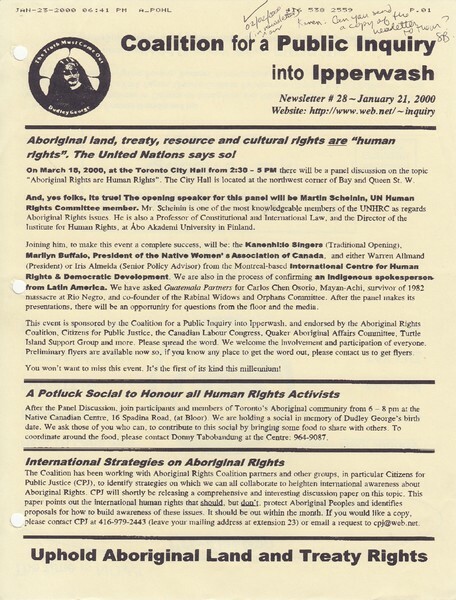 Issue of a newsletter created by the Coalition for a Public Inquiry into Ipperwash. 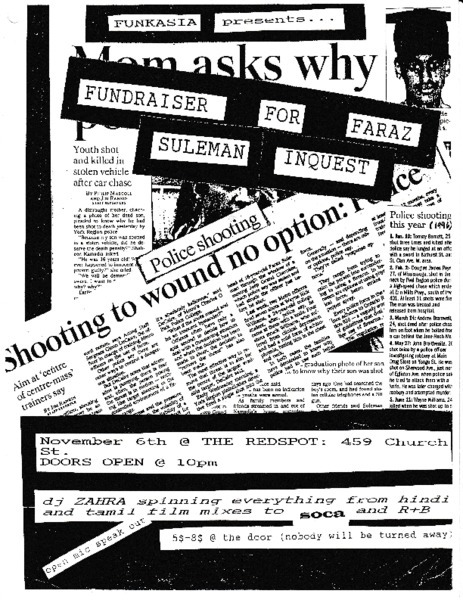 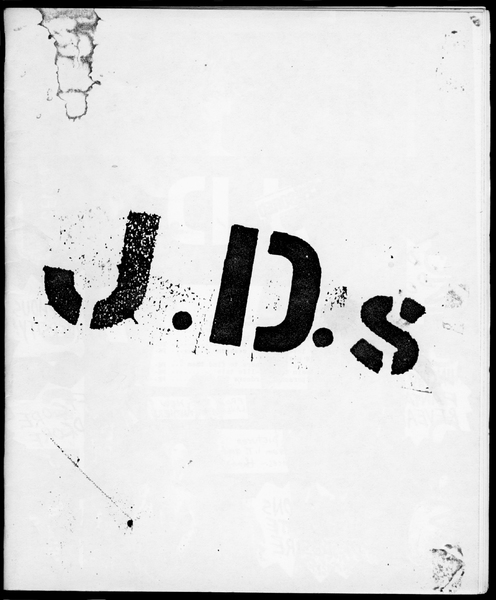 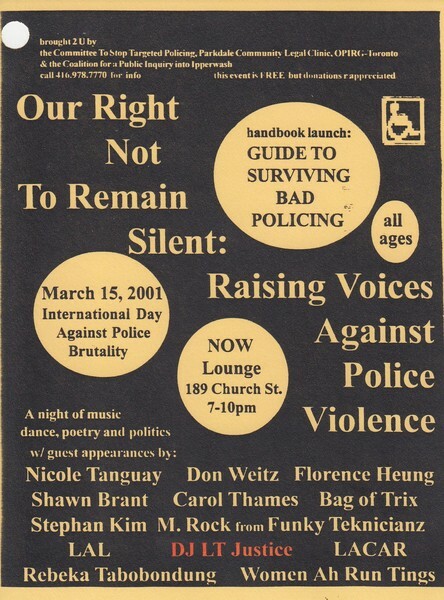 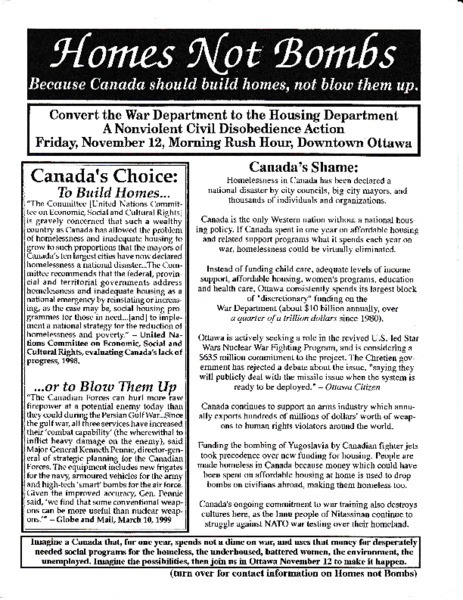 Flyer advertising a nonviolent civil disobedience action in Ottawa. 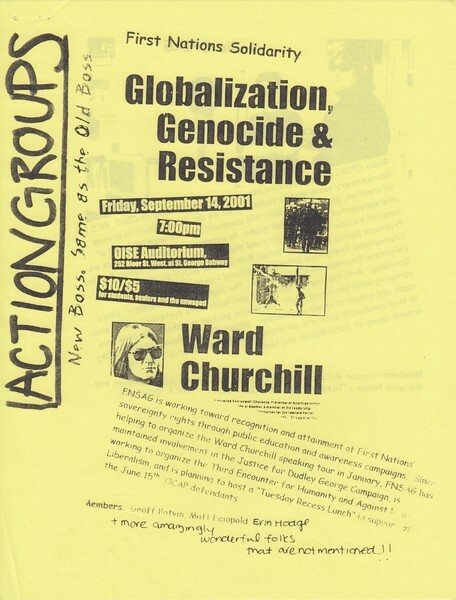 Poster advertises a talk by Ward Churchill put on by the First Nations Solidarity Action Group titled: Globalization Genocide & Resistance. 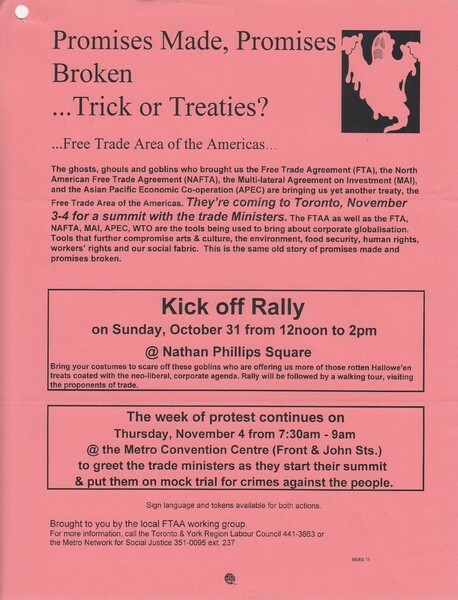 Promises Made, Promises Broken...Trick or Treaties? 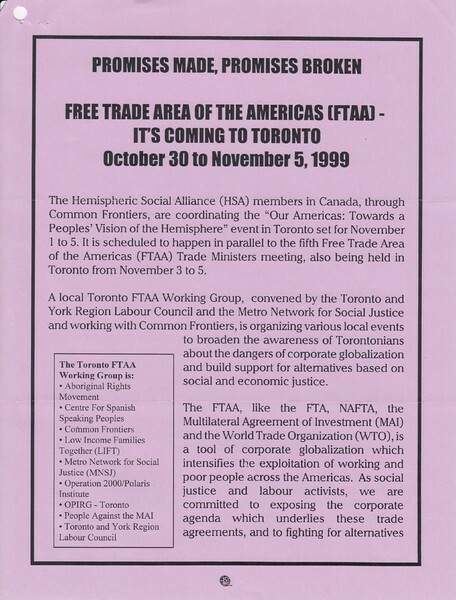 Describes Metro Network for Social Justice and invites OPIRG to actions. 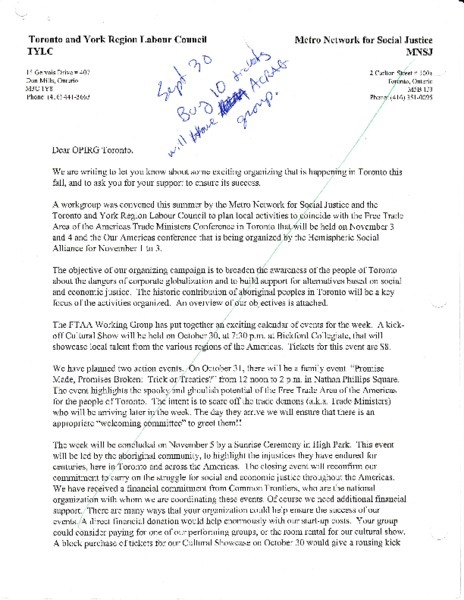 Letter is authored by Linda Torney, President of the Toronto & York Region Labour Council, and Helen Kennedy, Steering Committee Chair of the Metro Network for Social Justice.